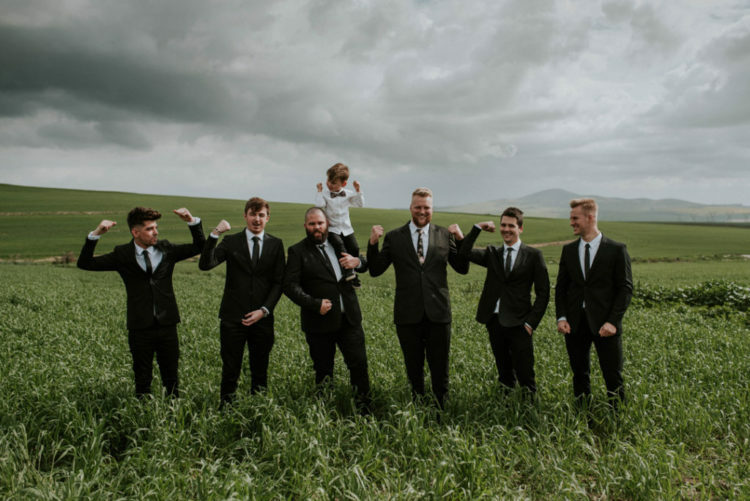 This real wedding is next-level gorgeous! 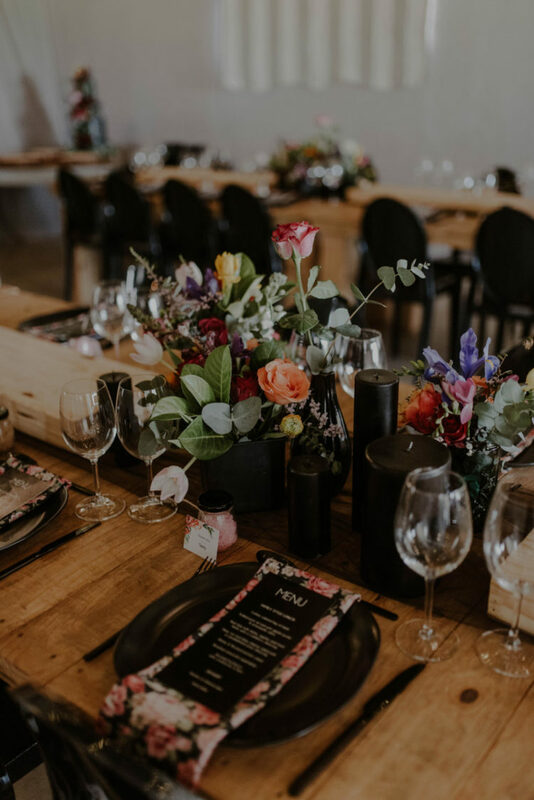 This is all because of the unique location, incredible style, spectacular flowers, fabulous food, and the most expertly executed DIY details. Let’s take a look! 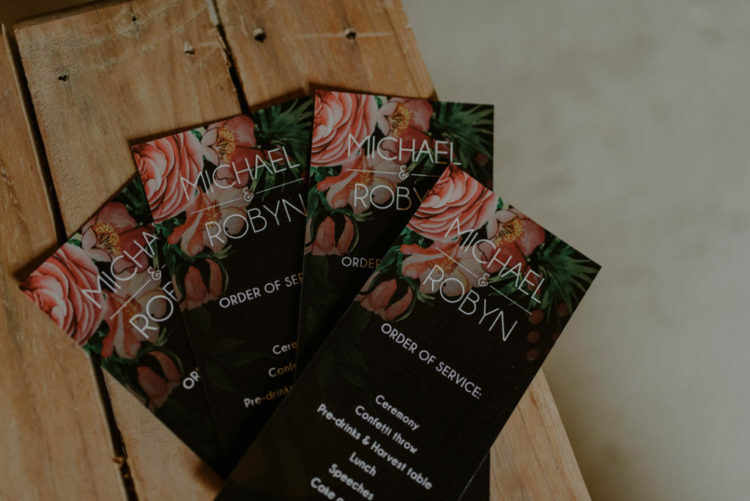 Michael and Robyn planned a relaxed and intimate affair with a luxurious, moody feel and lots of love. These two knew the exact vibe they wanted to strike with their celebration. 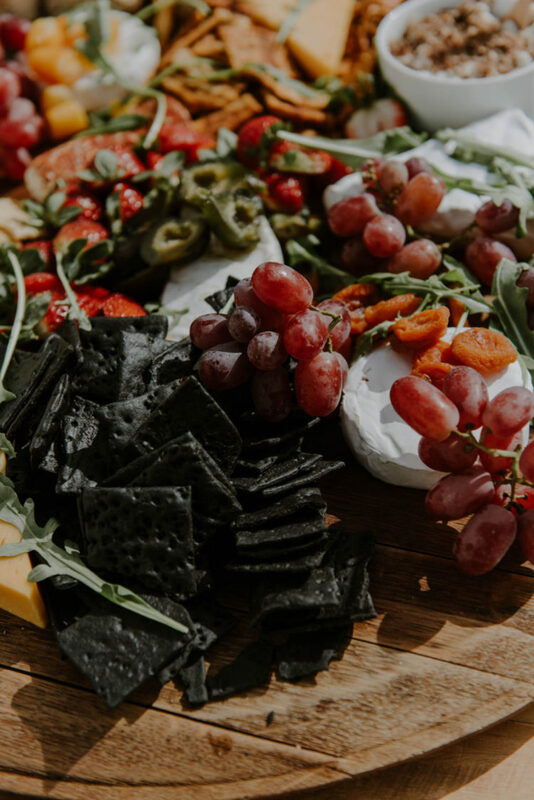 The most important things to them were that they made sure that the day represented who they were and the things and people that they loved. 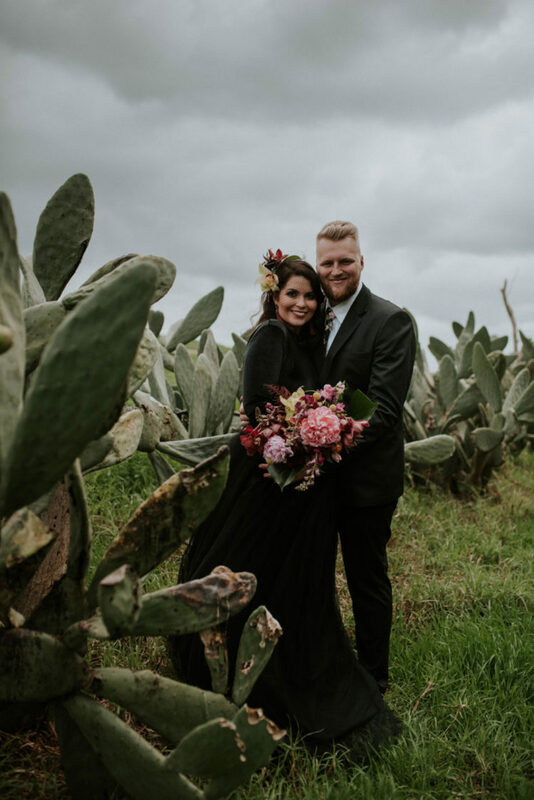 Michael and Robyn wanted to create a dark and moody feel to the day: they both love black and the bride loves fresh, colorful flowers, so they wanted most of the color to be brought in with the flowers. 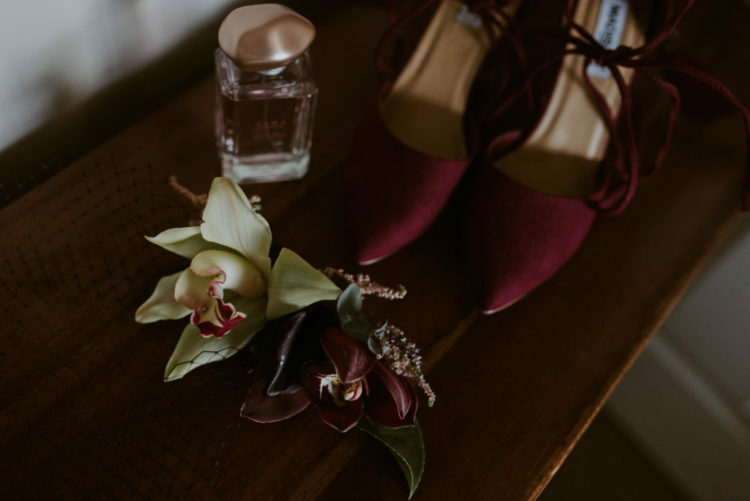 Robyn’s brother-in-law officiated the ceremony, but that wasn’t the only helping hand this pair had on the day. Their good friend was the MC and created the beautiful stationery for our day. 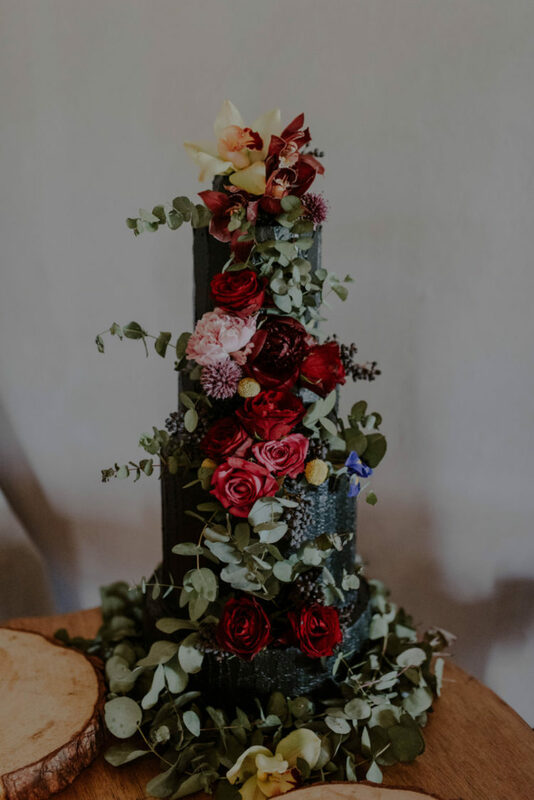 The bride’s mom did the incredible flowers. 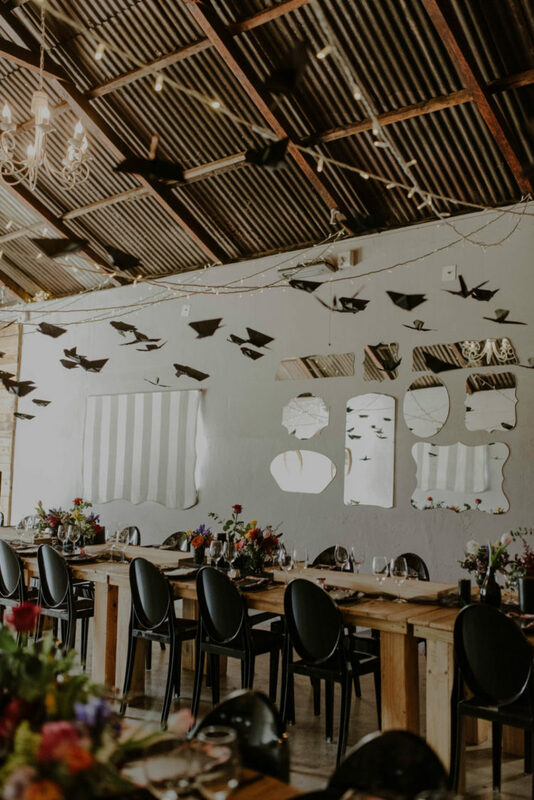 The bride made her own wedding cake, the bridal party folded hundreds of black origami birds for the reception area, and the fact that so many of the friends and family helped with setting everything up made it even more special. 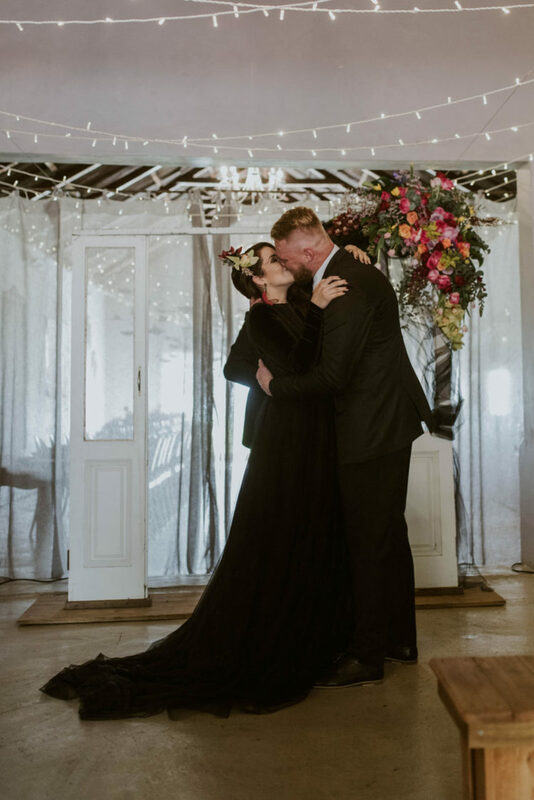 A black wedding dress paired with the veil and the fresh orchid head piece, along with that spectacular bouquet created a breathtaking look. Michael looked pretty sharp too, he tied in his dark floral tie with the luxe feel of the day. 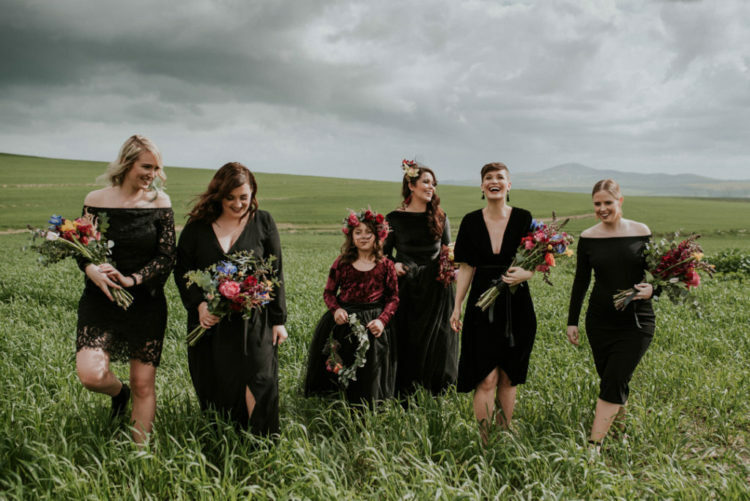 All of Robyn’s bridesmaids rocked their own black dresses, while her daughter Emma had a similar look to her own. 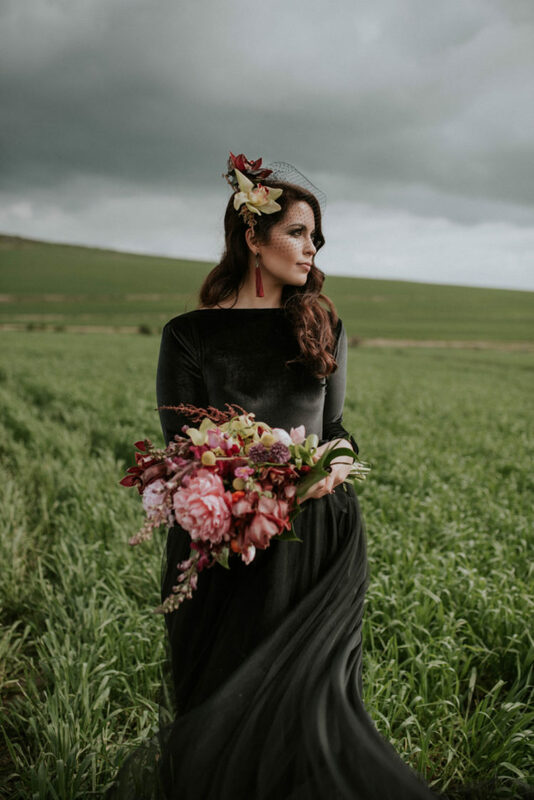 We love the striking black dresses paired with jewel toned blooms for maximum impact.